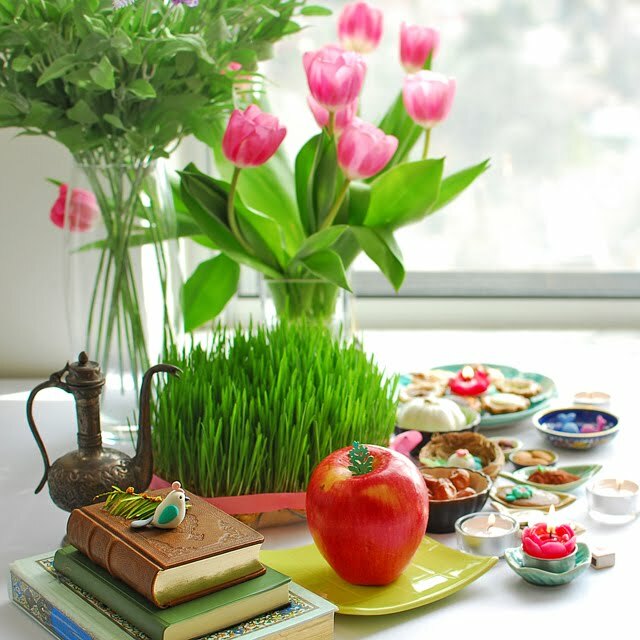 Just a few hours to the beginning of the Persian New Year and Spring equinox. This is a feast for the eyes. I love it!! I love how you have put everything together...such wonderful colours too. Happy new year :) Really nice table :) and thank you for the links too! 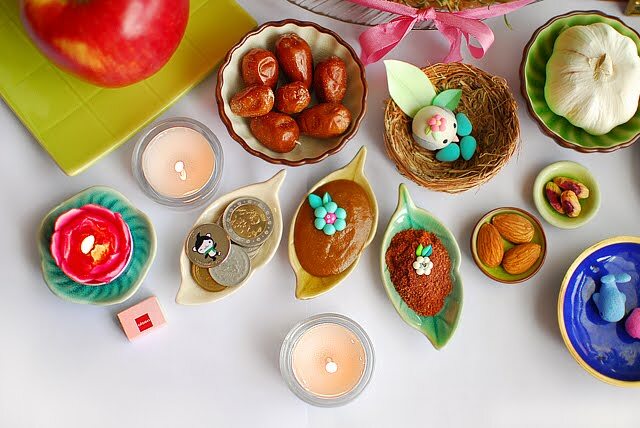 سال نو مبارک, افسانه جان. 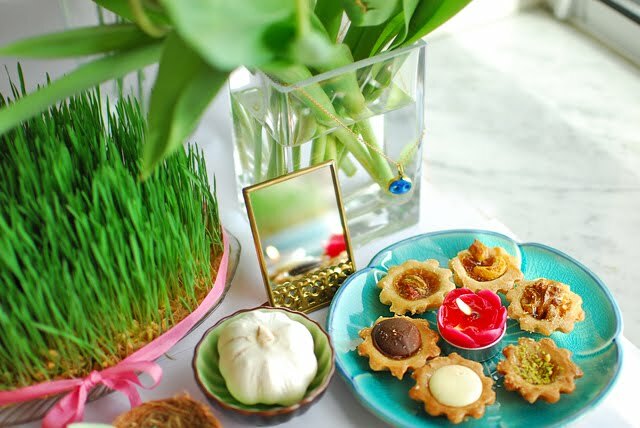 Happy Persian new year sweet friend! I always remember this day you shared with us on your lovely space and everything is always so beautiful. Have a lovely merry happy week and love to you! Happy new year. Lovely pictures with wonderful colours! Happy New Year, Afi! 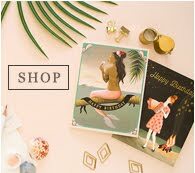 Be healthy, inspired and happy! Such a beautiful tradition - it's so interesting to see and read about it. You've arranged the table with so much taste - everything is beautiful and looks... tasty! What an enticing spread! 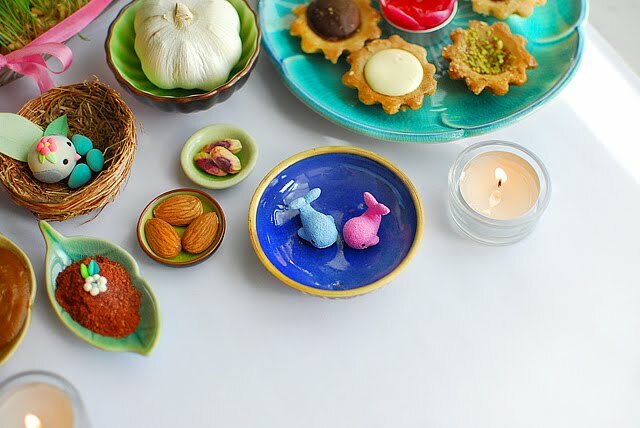 I love seeing traditions from other cultures...those pastries look quite yummy.And, as someone else mentioned, I think the concept of the new year beginning with spring is so fitting! 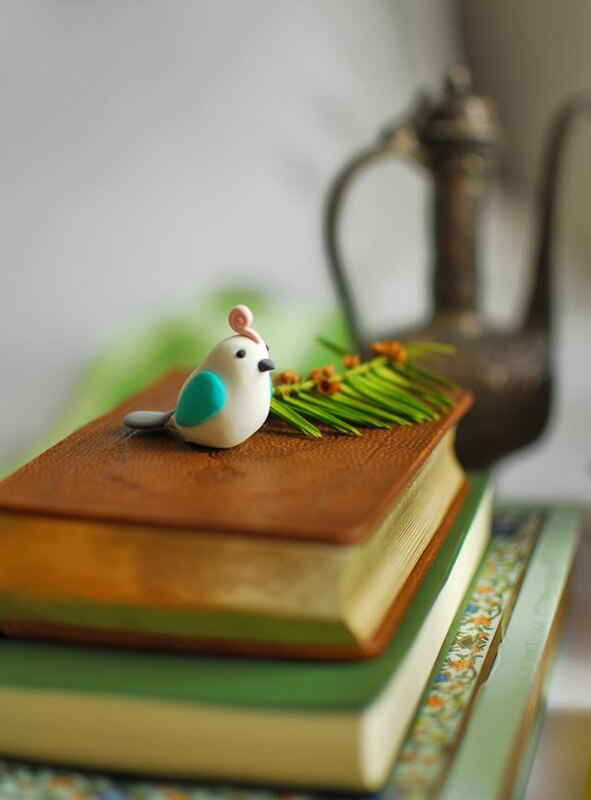 What an abundance of symbolism and so cute and neatly showed. Happy New Year to you.